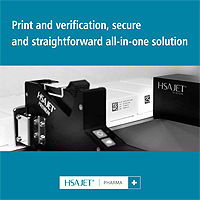 HSA Systems provides low cost serialization solutions. One of the big challenges is not as much how to package products but how to apply track-and-trace on packaging lines at high rates and subsequently ensure integration with multiple IT systems. Legislators want a unique number on each product that must pass down the distribution chain to create a pedigree for that product. However, for serialized bar codes, because of the line-of-sight requirement, you have to create parent/child relationships, so that what’s in the box is associated with the unique barcode on the case. This allows distributors to “infer” what is inside. HSA Systems provides item, case, and pallet serialization at the packaging line and site level. In deciding whether to use preprinted or coded tags, our preference is to print or code at the packaging line because it’s more controllable, particularly in high-speed operations. The cost to code each individual item is a factor. With printed 2D codes the cost is relatively low compared to RFID tags. Whether your industry is electronics, pharmaceutical, laboratory or manufacturing, the high demands of security, regulatory standards, and quality control are increasing exponentially. HSA Systems diverse barcode, serialization and personalization products are uniquely engineered to meet the rigors of your working environment. Knowledge - Our design team’s extensive knowledge of barcode technology is expertly positioned to assist you in finding a barcode system that is perfect for whatever identification problem you need solved. More importantly, we can follow any specs you provide from symbology, aspect ratios, resolution and density to proper quiet zones. Quality Control - Our efficiency goes well beyond design to the entire production process. HSA System barcode inspection equipment allows us to find specific areas which need correction before a problem is started and grade reports are available upon request. During the in line printing process, barcodes are scanned for duplicates, missing numbers and anomalous readings, ensuring that each and every code is present and unique before they are shipped. If something is wrong the product is rejected and if multiple rejects occur the line is stopped. 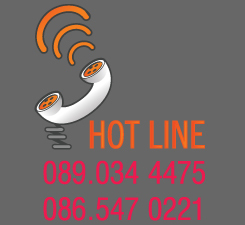 Symbologies - Our symbologies include linear and two dimensional barcodes - Code 39 (3 of 9), Code 128, Postnet & FIM, Interleaved 2 of 5, UPC & EAN and datamatrix. Datamatrix, the most common two dimensional barcode allows multiple strings of data in a smaller amount of space. A code as small as one half inch square can contain the model number, serial number, date of manufacture and the manufacturer name. Close collaboration with customers and suppliers combined with a wealth of knowledge and state-of-the-art equipment and materials, enables HSA Systems to innovate, design, and manufacture products that meet even the most challenging and precise requirements.